Testificates - New and Improved? Jeb has been working hard on Testificates as of late, no doubt implementing some of the long-awaited features players have eagerly anticipated from them - including trading! The image above shows an example of the system he is currently working on, indicating that a barter system involving a form of currency is on the horizon. Finally, Testificates will do more than meander into your towns, panicking at the sight of creepers! Although that can be humorous in and of itself. Showing a more humorous side, Jeb demonstrates his own personal method of something many players engage in with the often aimless villagers - experimentation! Make of that what you will - no doubt they are being sized up for new shoes and fabulous prizes! "You Are Minecraft" Finishes Off With Approximately 90,000 Player Models! The massive player-driven You Are Minecraft project recently came to a close, with approximately ninety thousand player models, all constructed by players themselves! A number of notable personalities took part, including team members from Mojang (Jeb's model in particular is quite a looker). All said, the project was an incredible success, bringing in players from across the globe and uniting them in a single goal - make your player avatar in Minecraft! While model building is now closed, the "You Are Minecraft" team are not done - they wish to deliver this incredible project to Mojang in person! Want to help them do so? Click this link to see how you can help them bring this amazing project directly to Mojang themselves! While the XBLA version of Minecraft is, in many respects, very similar to Beta 1.6.5, a number of features were brought forth a little ahead of schedule, just to make the game that much better. Of course, more updates are on the way as they bring it up to speed with the PC version, and likely some gems designed specifically for the console. One thing that has come up a lot since launch is custom skins, and players will be pleased to know that they are not far off! Currently it is believed that the skins will be DLC for the game, although the specifics are not currently known at this time. Bear in mind, this can change between now and the release of skin customization, so keep an eye out here as we gather more information! My guess: The money has something to do with Redstone. 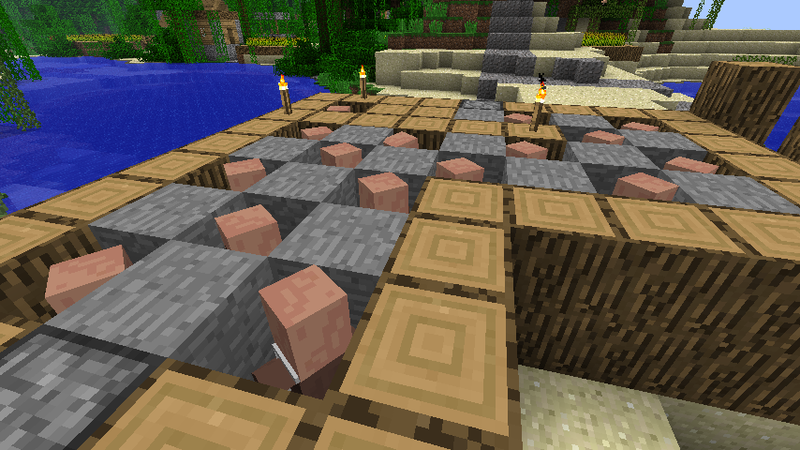 2) There's quite a bit of Redstone in the same exact picture... Quite. A. Bit. I JUST REALIZE THE CRYSTAL IS A NEW ORE AND HES SHOWING THE ORE BLOCK IN THE FIRST PICTURE RUBIES IN MINECRAFT? I hope you're right, because I have boat loads of redstone dust in chests in all my worlds. Although I was kinda hoping money would involve gold nuggets. 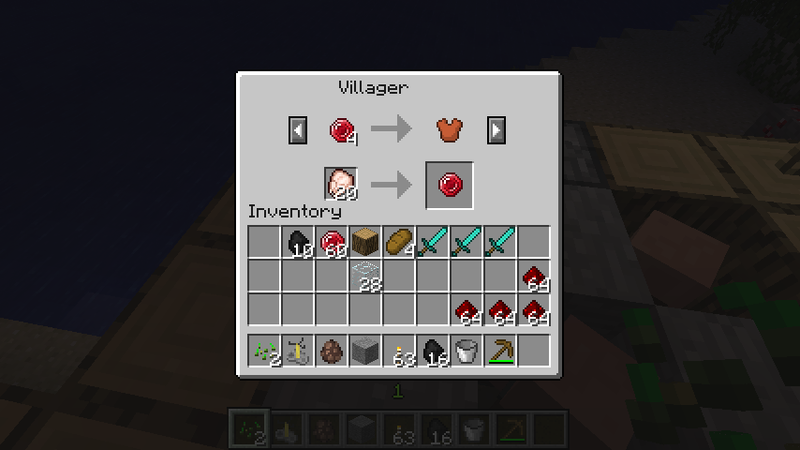 Still, trading with villagers looks promising. Make note: I generally avoid being insulting. If I sound insulting, I'm probably joking. We just need to tell them that there will be cake at the end, then the experiments can begin. I don't want them to add Rubies. Jewelry or minerals such as that should be mods. A currency? This is going to be interesting. That grey stuff is probably like stucko concrete or maybe retextured gravel. I think the trading system will be great the ore is ruby ore which u can get rubies from and use as money to pay the villgers,the strange block is retextured gravel, and that there will be a new type of villager that isa miner that will mine rubies for the village. I'm gonna guess it's the ore you get that gem from! Can't wait for this to come out. Pigmen looked so much better. Plus you still felt like a lone human, and pigmen could be easily re-textured, unlike those ugly villagers.